The week started off with a "new danger on the road" and ended with a New Years Eve party at my Aunt's house. All in all, it was a great end to 2017! Click here to watch the vlog or see the video below. 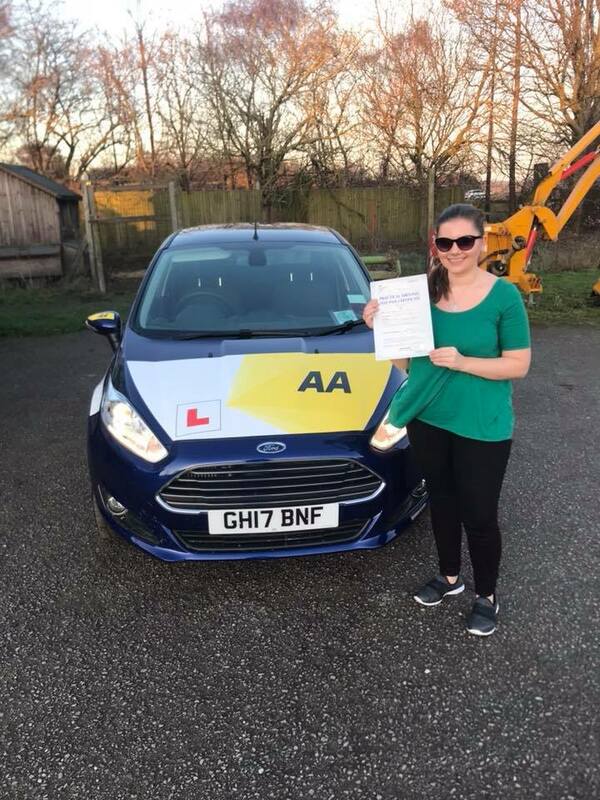 I had a great start to the week passing my driving test as a Christmas present to myself. 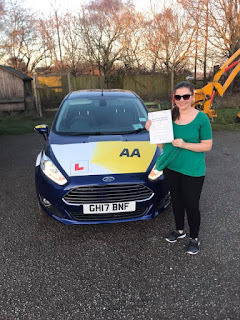 I've passed the theory test easily both times but after failing my driving test twice already, I didn't want all the chaos that goes with telling people about an upcoming test, nor the disappointment. Instead I booked my test the day after my first lesson and have been working towards it in secret ever since. I was so so excited to pass and I'm still somewhat in shock! Of course, everyone made the joke that there was now a "new danger on the road". Even my mum's congratulations card said it! I personally think I'm a very safe driver and I'm pleased to say I'm not very confident behind the wheel. It's so different from 3 years ago because I was so nervous and I hated it, but now I get super excited. Some of the professional P.I.T. Stop pictures were finally released. There was also a video that I think is beautiful but I'm really disappointed because there wasn't really any photographs of me. In fact, there was only one for a split second but it was a group table shot. Never mind, there's always next time I guess. I do love my portrait photo though. I kind of wish I'd worn my SeneBlue dress but this one from Simply Be is far more flattering and so I felt more comfortable in it. My friend Hannah doesn't have very long university holidays so we managed to fit in one last date before she headed back. It's her last holiday at home until August as she's away abroad for Easter but hopefully we'll manage to sneak a weekend in somewhere. We once again went to Pizza Hut and the cinema, this time to see The Greatest Showman which was absolutely incredible. Honestly, in my eyes it hands down wins the award for best film of 2017. I can't wait to see it again! Shockingly, we didn't take a single picture! I was almost tempted to repost one from the previous week because like Hannah said, it was almost a repeat. It was my first time driving alone and it felt so strange being in the car alone but I absolutely loved it. In fact, being able to control everything in the car is so relaxing and of course, I had the music on blast and I was singing out loud. The party didn't stop when I got home because I couldn't stop listening to the soundtrack thanks to Spotify. New Years Eve has come around so fast this year. Usually, we have a party at our house but it was switched this year. I wasn't impressed at the thought but I actually ended up having a lovely time. I played with Harriet for a lot of the night and brought some little cracker games with me. One was a miniature bowling set and it was so much fun. I also got to speak to Grandma and her sister, Aunty Buffy which was nice. Again, I took hardly any pictures of New Years Eve! What has gotten into me? This one of my mum and me was taken at 3am so excuse the look. To end the year, one of my SheerSister's posted this quote and it's defintely one I'm going to carry with me throughout next year. I'm going to be in a new city, doing a new course with new people. I also want to push myself in other aspects of my life so fingers crossed! Once again, I hope you all have a Happy New Year and here's to a great 2018!